The city of Heerlen is the largest of the eight Dutch municipalities composing the South-eastern region of Parkstad – formerly a major centre of the coal mining industry in the Netherlands. 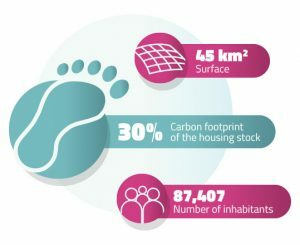 Since its coal-mining days came to an end in the 1970s, Heerlen has made massive efforts to revitalize the region through innovative and sustainable energy policies, going so far as to making a commitment in its new Sustainable Energy and Climate Action Plan to become a carbon neutral city by 2040. One of its strategies to transform the municipality for a sustainable and self-sufficient future is to convert the abandoned mines in Heerlen into geothermal power stations exploiting water to produce renewable energy. However, reliance on such alternative energy sources alone is insufficient in order to achieve carbon neutrality – reduction of energy consumption and improved energy efficiency are crucial in this perspective. 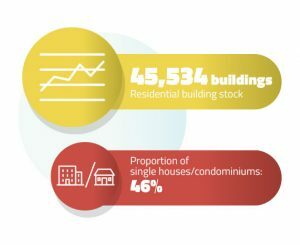 The housing sector is a top priority in regards to the city’s energy efficiency potential, as 60% of Heerlen’s energy consumption is spent in the city’s buildings, particularly its residential ones. Much of this energy could be saved by improving the efficiency of Heerlen’s housing stock, as currently half of the houses have the lowest energy standards, with energy labels from E to G.
The challenge of energy efficiency in the residential sector has been recognized by the municipalities in Parkstad, and Heerlen together with other Dutch cities has set up a digital energy counter (DUW Parkstad) offering workshops and house visits in order to provide free-of-charge energy advice on the installation of simple efficiency improving measures homeowners can implement by themselves. However, DUW does not provide a level of service necessary to realize deep and comprehensive renovations needed to achieve significant energy savings. This is why Heerlen has joined the INNOVATE project with the objective to expand the digital energy counter into a physical One-Stop-Shop, which the city envisions as a Center for Sustainability – ‘Centrum voor Duurzaamheid’ in Dutch. The city wants to base such a center on the model of the WoonWijzerWinkel in Rotterdam, which provides independent advice, cooperates with various companies, and evaluates quotations and offers for different energy-related measures. Heerlen’s ambition to persuade private homeowners to undertake deep energy refurbishments is currently heavily obstructed by the insecure economic situation many of the municipality’s residents find themselves in – the region is still under recovery from the financial crisis and there is a widening income gap between the rich and the poor. In addition, housing prices are quite low in comparison to the rest of the Netherlands, making deep renovations very expensive compared to the overall value of the house. Therefore, energy efficiency in the housing sector holds a very strong social dimension in the case of Heerlen, and energy poverty (meaning that through a combination of high energy prices and insufficient financial resources, households cannot afford to maintain an adequate level of warmth in their homes) is an important issue the city has to address. 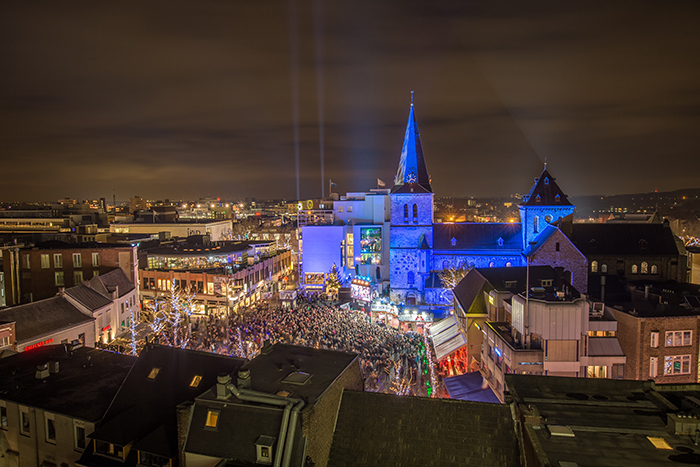 In light of these social and economic concerns, Heerlen is worried that if energy efficiency measures are not taken by the municipality, the inequalities in the population will be further increased in the future. In addition to WoonWijzerWinkel, there are already a number of experienced actors involved in energy efficiency action and energy refurbishments active on the Dutch market, such as PALET – a project between the eight municipalities of Parkstad researching the opportunities for the transformation of energy consumption in the region – and INNOVATE partner KAW. Heerlen wants to develop its One-Stop-Shop in cooperation with these actors, for example by consulting WoonWijzerWinkel and KAW’s Reimarkt shops to learn about their best practices in terms of energy refurbishments for private homeowners. PALET is an important partner for Heerlen in order to develop a regional approach in the implementation of such a Center for Sustainability. The cooperation with regional partners is necessary to improve the overall economic and social conditions in the region, which constitute the biggest barrier to energy efficiency improvements, and to develop economies of scale to make deep energy retrofits feasible and affordable. Heerlen municipality, Parkstad (region with 8 municipalities, including Heerlen, Province of Limburg, private home ownership, local energy coorperations, installing companies, financing institutions, financial advisors.